Beginnings is the first in the Same Face Different Place series. 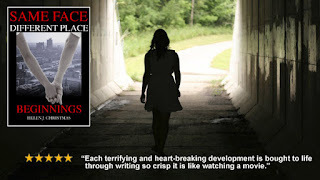 My thanks to the author for the review copy and to Rachel of Rachel's Random Resources for having me on the blog tour. 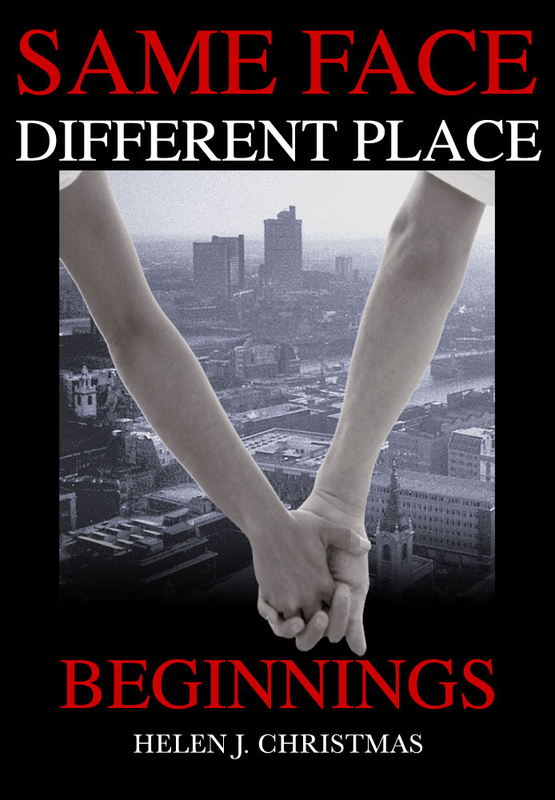 Beginnings is a roller coaster of a read that hurtled along at a startling pace and really was the ultimate story of Cat and Mouse. At 16 Eleanor Chapman's world turns upside down upon the discovery that her Dad works in the criminal underworld and furthermore is going on the run, leaving her to pretty much fend for herself as the people she has been left with can't be trusted. Eleanor meets Jake in difficult circumstances, and the two decide that they have to escape London together. Initially enigmatic I grew to love the character of Jake very much and the blossoming relationship between the pair. Set in London in the 1970's, this story had a real sense of time and place. The busy streets of London on parallel with the chaos that our two main protagonists are going through. Some of the scenes made my pulse rise and my hands sweat as I longed for the pair to get out of London safely. Well written and well plotted, full of enough mystery and intrigue but throw a little bit of romance in there and this gives this book a dynamic that I haven't necessarily come across before. Gripping and fascinating I was drawn into the story hoping that the baddies got their comeuppance. Beginnings was left suitably to go into book two and I will most certainly be reading it. I have to know what happens next! Helen J. Christmas lives on the south coast of Sussex with her husband. With a love of writing since childhood, she started her decade spanning thriller series 'Same Face Different Place' in 2011. 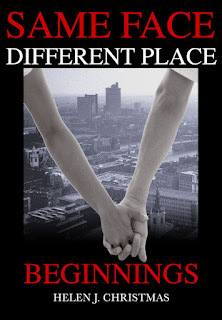 Her first book 'Beginnings,' set in 1970s London, combines romantic suspense with a hard-hitting conspiracy thriller. Writing is something she juggles around family and social life. 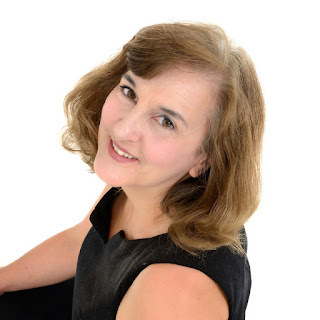 Helen is self employed and enjoys running the web design company, she and her husband set up from home. They have no children but enjoy the company of a faithful border collie and a fluffy white cat. Helen confesses to have got most of her ideas for writing, whilst walking Barney along the beach. Please have a look at some of the other stops on the blog tour and carry on reading after for your chance to win a copy of this book. Dear Leah, thank you so much for your review. It warms heart to know how much you enjoyed my book and I love your website!